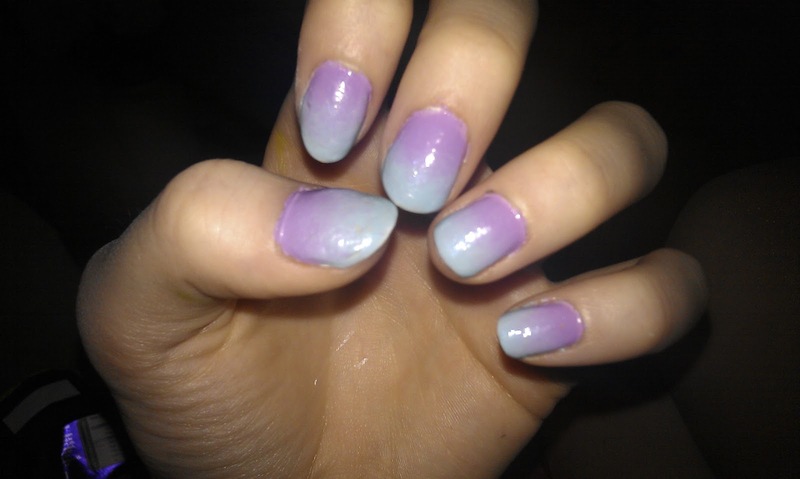 I used 2 Barry M colours, a light purple and a light blue. Using an eyeshadow applicator thing, I kept applying the colours until they blended into each other gradually. I then used a clear top coat to blend even further. Yep, I think gradients are pretty in all colours:)Thanks! This is so cute, love! !